As the world advances, new innovative technologies are being developed, opening a potential growth opportunity for exchange traded fund investors. “They are driving a wave of innovation across many industries, and this is the important part. This isn’t just a technology conversation. Technology may be a catalyst, but actually, this is a pervasive change across everything from power generation, to the ways you travel, to the buildings we live in, how long you live – genetic engineering, and even the commercialization of space,” Moyland added. 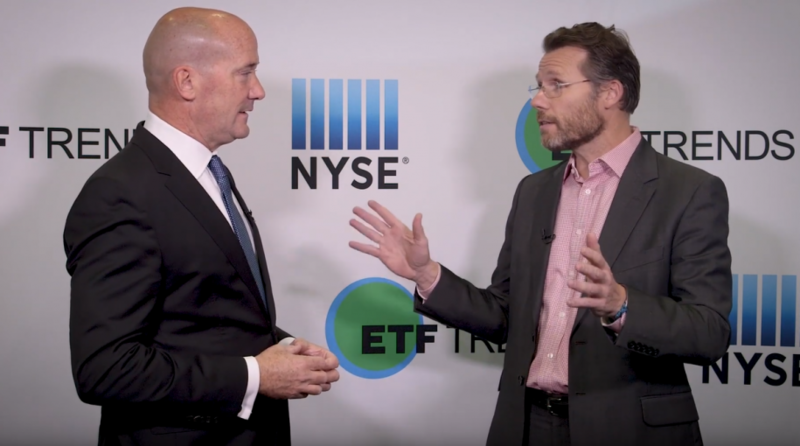 Investors who are interested in gaining exposure to this fourth industrial revolution may now look to a number of specialized ETF strategies. For example, the SPDR Kensho Intelligent Structures ETF (NYSEArca: XKII), SPDR Kensho Smart Mobility ETF (NYSEArca: XKST) and SPDR Kensho Future Security ETF (NYSEArca: XKFS) can help investors focus on the potential growth opportunity in next-generation technologies.